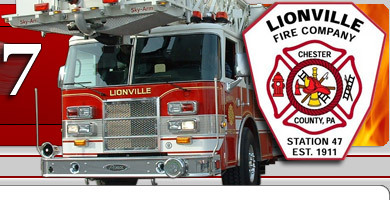 At 7:11am, Thursday morning, the Lionville Fire Company, along with Uwchlan Ambulance Corps, were dispatched to Horseshoe Trail Road, in West Pikeland, for a Water Rescue. The Lionville Fire Company responded with both boats, accessing the flooded area in different directions. LFC Emergency Responders, in Swift Water Rescue Gear, were able to assist the driver of the stranded vehicle, to dry ground. 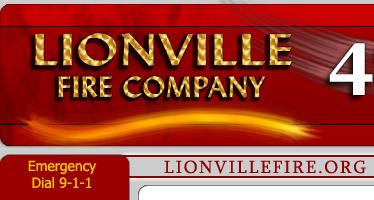 Lionville Fire Company would like to remind drivers to never underestimate the power of water. Use caution when driving in rainy conditions. If you come upon an area with water collecting, to turn around and find an alternate route. Please observe road closures and flooded roadway signage. People underestimate the force and power of water. Many of the deaths occur in automobiles as they are swept downstream. Of these drownings, many are preventable, but too many people continue to drive around the barriers that warn you the road is flooded. A mere 6 inches of fast-moving flood water can knock over an adult. It takes just 12 inches of rushing water to carry away a small car, while 2 feet of rushing water can carry away most vehicles. It is NEVER safe to drive or walk into flood waters.